Looking to give a gift but can’t decide between what Letter Art photos to choose? Or you are not sure what would be the best color scheme for your framed Name Art present? Or you just want to let your family and friends enjoy picking out their own Alphabet Photography for creating their Art Letter Frame? Then 26 Deco Gift Certificate is the answer! We make it easy for you to give the gift of Letter Art Photography! Simply decide how many letters are in the world that the person is most likely to create. Usually it’s the first name or the last name. It can also be a business name, or general words such as FAMILY, LOVE or WELCOME. Think about the hobbies of the person: COACH, #BLOGGER, YOGA. Or the city that brings back good memories and makes them feel good: PARIS, Rdam, TOKYO. 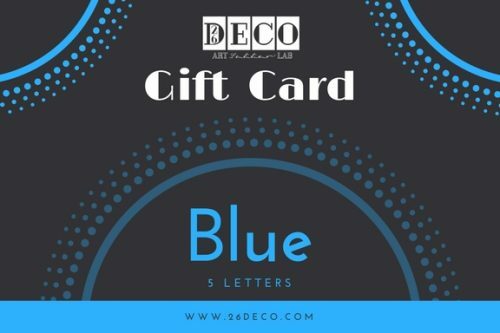 Every Gift Card is preset for a certain amount of letters and inclusive the shipping cost. 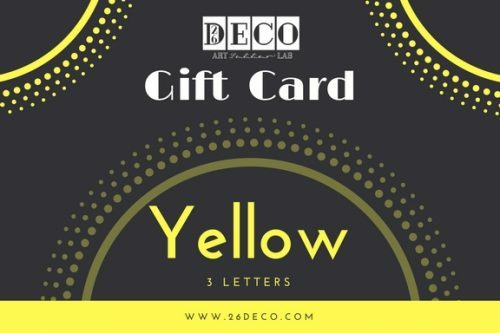 To buy a 26 Deco Gift Voucher simply select a color of the gift card, type a personalized message and make the payment. Your e-gift card will arrive via email, with the option to print an attached PDF. 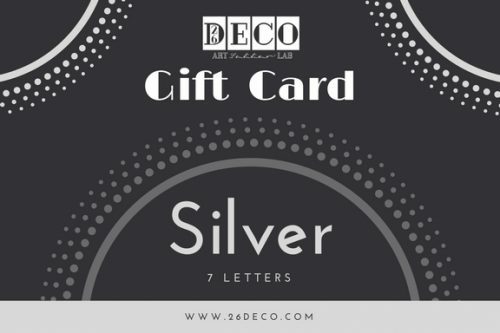 There will be a corresponding code that can be applied toward any future purchase from 26 Deco website. 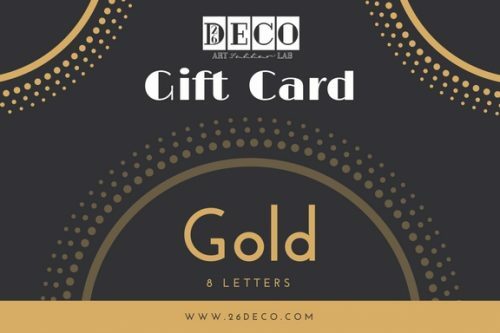 Enter the Gift card code in the promotions box when checking out. Perfect as a last minute gift!